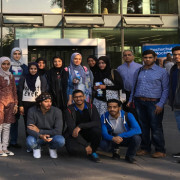 BARKA To learn more about logistics operations in Germany, a group of GUtech 5th semester students and the acting Head of the Department of Logistics, Prof. Dr. Halil Guenduez, recently conducted a study-excursion to Germany. 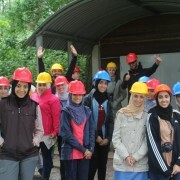 The excursion was financed by the German Academic Exchange Service (DAAD). “The students learnt about supply chain management how logistics work in different fields and on different scales. 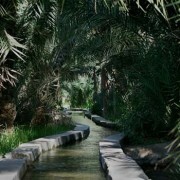 We have been conducting field trips in Oman. However, this is the first logistics excursion abroad. The students were very impressed about the automatization and the size of supply chain and logistics operations and even got ideas about where to conduct their internships next year,” said Dr. Halil. 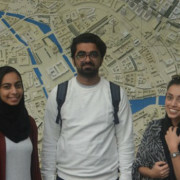 The students stayed in the city of Aachen where they first visited GUtech’s partner-university, RWTH Aachen University. There they met the Dean of the School of Business and Economics Prof. Thomas Kittsteiner and by Prof. Dr. Oliver Lorz who introduced them to the department, the studies at RWTH Aachen and the campus. 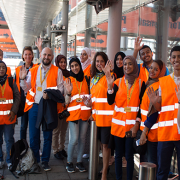 Each day the group then visited a different Logistics company in the field of airport, maritime and distribution logistics in the region, such as DHL in Aachen-Wurselen and Cologne-Frechen, the baggage handling logistics center of the Airport of Cologne, and Zalando Apparel and Shoes warehouse in Mönchengladbach as well as a coal mining industry and the port of Duisburg. On the sidelines the students also visited historical cities of Cologne, Stolberg, and Monschau in Germany, the city of Maastricht in the Netherlands, and the Belgium capital Brussels. “The Bachelor of Science in Logistics aims at providing students with a solid and in-depth knowledge of logistics, supply chain management, and transportation management. The programme combines a comprehensive education in engineering subjects of logistics and in business subjects of logistics and supply chain management. The graduates will primarily gain knowledge about the most important business methods and theories, the understanding of logistics and the ability to apply optimization and simulation techniques. Beside those skills the programme offers management and entrepreneurial courses, so that graduates will develop the knowledge and skills to work in a responsible position of an established logistics company as well as in a start-up or emerging business, in particular in the field of logistics service providers.” said Dr. Halil. The programme has a quantitative orientation which includes many courses where good mathematical understanding is required. Graduates of the Logistics programme will be able to take over responsible administrative or management positions in logistics in the Sultanate of Oman and the region or to enroll in further postgraduate programs. Our aim is to support Oman’s logistics chain investments with very good qualified graduates, boosting the Sultanate’s capacity to move its domestic and export cargo, as well as strengthen its credentials as a major freight transshipment hub. BARKA The German University of Technology in Oman (GUtech) has conducted professional development workshops for its employees recently. 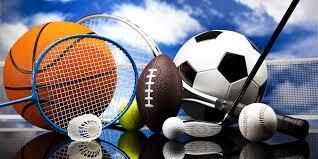 “Knowledge is changing in a very fast pace. We have organized the professional development days for the third time, just before the start of the academic year. It is important for us to train and motivate our staff so that they learn themselves and motivate the students throughout the year,” said Prof. Dr. Michael Modigell, Rector of GUtech. This year two groups of academics from GUtech’s partner-university, RWTH Aachen University conducted training courses in the basics of Blended Learning and on Teaching Methods. 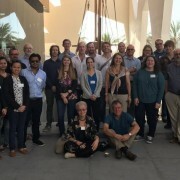 The workshop included different sessions on key challenges in teaching, conducted by a group of researchers from the Center of Learning and Knowledge Management (ZLW) at RWTH Aachen University. Knowledge changes very fast and needs to be renewed continuously. “Ten years after school, there is no added value for a learner. Five years after graduating with a Bachelor or Master’s degree there is no value anymore,” said Prof. Dr. Heribert Nacken, the Rector’s delegate for Blended Learning and Exploratory Teaching Space at RWTH Aachen University. According to Prof. Nacken, those who teach at university should be aware of how we learn. In order to apply and improve the work of our brains with its neurotransmitters, knowledge usually needs to be practised and repeated. 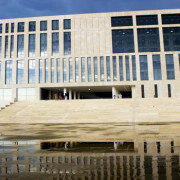 To increase the learning outcome for students various teaching techniques can be applied, according to the motto “Life is where there is a connection,” said Prof. Nacken. He suggested to use e-learning, a self-paced learning media to teach certain skills, e.g. in natural sciences, in engineering and even in language learning. “The first input always comes from a human being,” said Prof. Nacken. Referring to the Dual Code Theory a link between the verbal or oral and pictoral or visual perception create knowledge in the long-term memory of the brain. However “visual information is usually faster than aural information” he said. Explanations for illustrations are usually better understood in a spoken (oral) form than in a written presentation only.” Prof. Nacken also recommended to reduce the learning material for students and to apply various media while teaching. GUtech staff was introduced to new teaching techniques involving ‘Massive Open Online Courses’ or the ‘flipped classroom technique’ where the lecturer plays the role of a mentor instead of a presenter and the students themselves acquire their own knowledge from various sources. 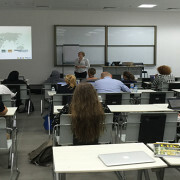 The second part of the workshop conducted by a team from the Center of Learning and Knowledge Management at RWTH Aachen University, GUtech academic staff was asked to give sample presentations and their teaching styles was recorded and analysed by their fellow colleagues. They were also given advice how to improve their presentation style, based on the body language, the spoken words and the tone of the voice. At the end of the one week workshop an academic vision was projected for GUtech. Participants gave suggestions about their vision for the year 2015 – how the teaching, the student-lecture interaction and the overall study environment will look like. 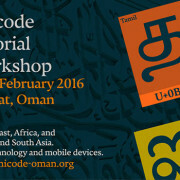 Due to the very positive feedback to the workshop, the university is planning to conduct a follow-up workshop next year.